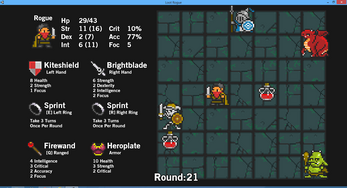 Loot Rogue is my first Seven Day Roguelike. 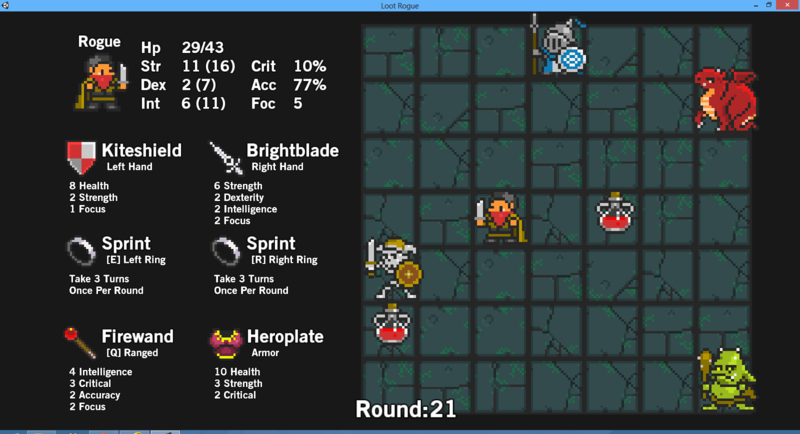 Loot Rogue pits your hero against an arena filled with aggressive enemies. The game is based on finding new loot to gradually upgrade your hero and his stats. As the arena's rounds progress the enemies, in turn, also get stronger. The game was made in Unity and uses the tiles from oryx's (www.oryxdesignlab.com) fantastic 16-bit Fantasy Sprite Set.